Dr. Christian Thoroughgood received his M.S. and Ph.D. in Industrial/Organizational (I/O) Psychology from Penn State and his B.A. in Psychology and Economics from the University of Maryland, College Park. Dr. Thoroughgood has also consulted for a number of organizations, such as Aerosoles Shoe Company, Hertz, and Penn State’s Office of Human Resources, as well as worked on a number of large-scale research grants through the Departments of Defense and Homeland Security. 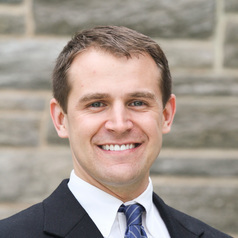 Currently, he conducts research and teaches courses on Organizational Behavior, HR Metrics and Research, and Organizational Change Management in Villanova’s HRD master’s program.